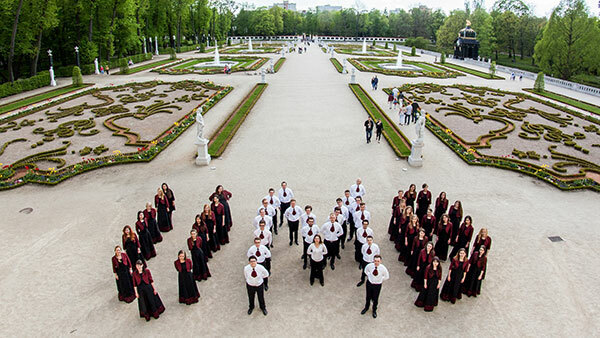 The Choir of Medical University of Białystok is one of the oldest academic choirs in Poland. It was founded in 1951 at the initiative of students, enthusiasts of singing. From the very beginning, the headquarters of the group were located in Branicki Palace, often called the Versailles of the North. Traditionally, rehearsals and meetings take place in the Aula Magna, an exceptional lecture hall of remarkable acoustic qualities. We kindly invite to our social media: Facebook, Youtube, Soundcloud and Flickr. One of the oldest academic choirs in Poland. It was founded in 1951 at the initiative of students, enthusiasts of singing. From the very beginning, the headquarters of the group were located in Branicki Palace, often called the Versailles of the North. Traditionally, rehearsals and meetings take place in the Aula Magna, an exceptional lecture hall of remarkable acoustic qualities. We kindly invite you to our social media: Facebook, Youtube, Soundcloud and Flickr. Current information and dates of our concerts. Recordings of our performances and interwiews with choristers. Videos from our concerts, tours and other events. Association of Friends of the Choir of Medical University of Białystok was founded at the initiative of active choristers in 2011. The aim of the Association is to conduct educational and cultural activity specifically in terms of creating and promoting musical culture, initiating and supporting projects which promote artistic achievements and improve musical activity of members of the choir.